Do you want to go diving with Bull Sharks? In this article we explain where, when and with who in the world you can dive with Bull Sharks safely. Would you like to go scuba diving with Sharks? 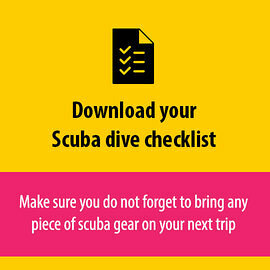 In this article we explain how to stay calm and safe when scuba diving with sharks. Ever wondered which shark species can be found the Mediterranean? In this blog we zoom in on 5 shark species found in the Mediterranean sea. Sharks are no men eaters and their behavior is often misunderstood. We need to conserve sharks for future generations. Read this Infographic and learn more about shark attacks. The great white shark is for many people their biggest fear. But many scuba divers dream to dive with these majestic animals. Read this trip report now. Did you ever think about which shark species can be found in the Caribbean Sea? This article covers 6 of the most common shark species found in the warm water of the Caribbean ocean. Wonderring what is more likely to kill you than a shark attack? beds, vending machines and deer kill more people per year than sharks! Would you like to learn more about great white sharks and sharks in general? This article explains more about these Apex predators and includes an awesome video. Going on a Cage Dive with Sharks, What is it and Why Would you?! Always wondered what it is like to cage dive with Great white sharks? read on and learn more what it is and where you can cage dive with sharks. What to say to your friends who eat shark fins? I am sure most of you know now that shark fins is a symbol of wealth for the Chinese, and that’s why we eat them. Shark fins on the menu is like a shout out to our guests – ‘We can afford shark fins! Shark Finning and what can you do to STOP it! Always wondered what Shark finning actually is and why so many people are against it? In this post we will explain exactly what it is and why it should stop! Media in general love to report shark attacks. A small wound caused by an exploratory bite from a shark is BLOWN up into news every time. Getting Up Close And Personal with Blue Sharks and some times the elusive Mako shark at Rhode Island. A shark lovers and underwater photographers dream.